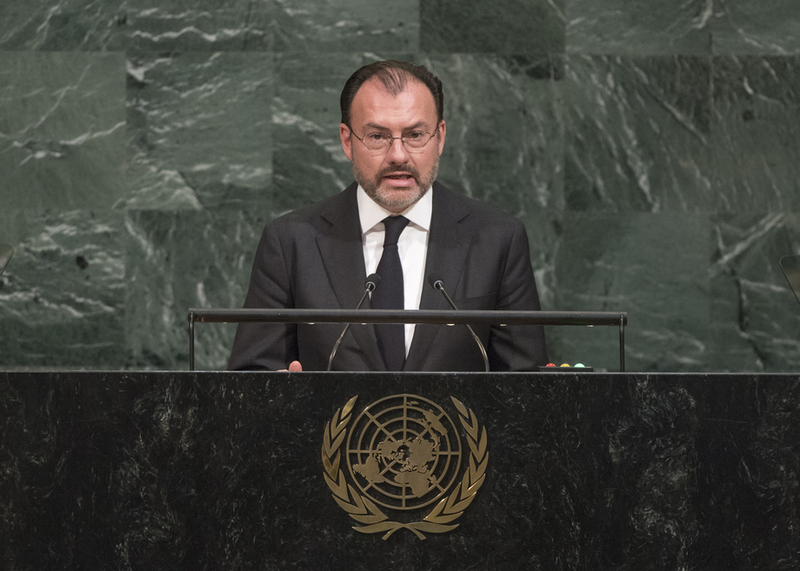 LUIS VIDEGARAY CASO, Minister for Foreign Relations of Mexico, expressing his country’s appreciation for the outpouring of support following the tragic earthquake, said the United Nations had come together as a family. Mexicans of all backgrounds were assisting those most affected, with rescue missions remaining the priority. Tragedies of this nature demonstrated that only through multilateralism could we achieve development goals, he said. Current challenges to multilateralism had resulted in a wave of terror and repudiation of globalization. Mexico rejected those negative outlooks and vowed to be a sovereign State “profoundly devoted” to multilateral approaches to global issues. Migration was at the core of global issues, he said, vowing his country’s full support for the Global Compact on Migration and expressing “profound solidarity” with Mexican migrant workers in the United States, regardless of their legal status. Mexico had an obligation to protect migrants and appreciated their contribution to the global economy. In the region, efforts continued to foster greater interconnectedness through the North American Free Trade Agreement. Mexico also sought to work more closely with Central American and Caribbean nations to improve security mechanisms and disaster preparedness. Closer ties to Europe and Asia were also vital to addressing global issues, he said. Mexico recognized its duty to increase efforts to promote human rights and equality, he said. Too often, women were the victims of abuse and discrimination, and those responsible for such suffering must be brought to justice. He expressed solidarity with the people of Venezuela and their fight for democracy, also expressing support for the normalization of relations with Cuba. To achieve those goals, Mexico would work alongside the Secretary‑General to ensure the United Nations was a more efficient Organization.